Only a few functional buildings can take pride in a history as unique as that of the 1903 glass factory building of the Steiff-Spielzeugfabrik. 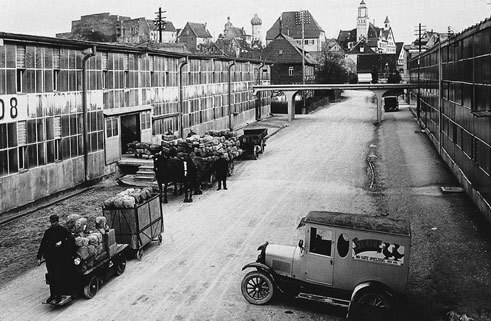 The largely unknown factory building had been standing in the Swabian town of Giengen an der Brenz for almost 30 years before it experienced an amazing wave of admiration for a short time in 1932. This was due, on the one hand, to its absolutely modern look, and on the other hand its very innovative architectural design. In the forward-looking Frankfurt architecture magazine Die neue Stadt the small glass factory building was hailed an icon of modernism: with its “rational and simple elegance of design” it is one of the best results of the “movement for functional architecture”. In the same year, the engineer, Hermann Maier-Leibnitz, discovered the building as “probably the first glass building for utilitarian purposes” for his compendium Der Industriebau. This credit was not undeserved. 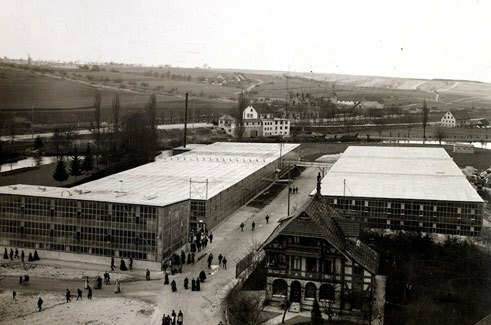 The so-called “Ostbau” or East Block of the company Steiff dates back to 1903. It boasted a very modern style and was designed as a purely glass and steel construction with a double skin glass enclosure. The three-storey steel frame structure was built on an area measuring 30 x 12 m as a plain rectangular block in crosswise direction, with plinth and a flat mono-pitch roof. The outer skin glass enclosure extends from the plinth to the cornice, curtaining the frame structure. It forms a curtain wall that also extends around the corners. There is no mention of an architect in the files. Today, however, the design is most frequently accredited to Richard Steiff, the nephew of the founder of the company, Margarete Steiff. Richard Steiff trained at the Kunstgewerbeschule in Stuttgart, and during a stay in England in 1897 he was able to study the Crystal Palace and the greenhouse buildings that were designed in iron and glass. Margarete Steiff (1847-1909) - bound to a wheelchair from early childhood - founded the factory in 1880, and in doing so, laid the cornerstone to a toy manufacturing empire in Giengen. She started off making pincushions in the shape of an elephant („Elefäntle“), then she changed to the toy segment and designed felt toy animals, a move that was to have a legendary impact: in 1902 her nephew, Richard, designed the first teddy bear for Steiff with the model name “Bär 55 PB”. After a sharp rise in the production due to huge international demand, a speedy expansion of the manufacturing facilities was needed. 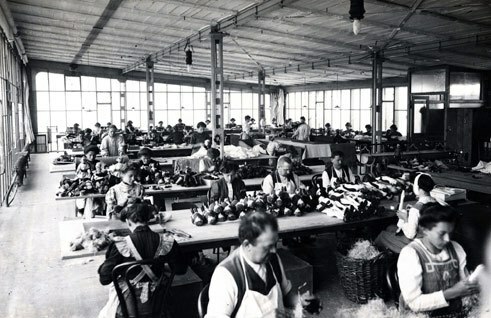 The illumination of the work areas was a decisive criterion for the design concept. An evenly distributed illumination with natural daylight provided the ideal condition for work at the sewing tables. Economic considerations probably also played a part in the decision in favour of a steel framework. In comparison to the massive construction method, such a framework structure could be implemented relatively promptly and at low cost. The building contract went to the Eisenwerk München AG, a steel construction company that had already erected several glass-iron structures in southern Germany. The unique façade design of the Steiff factory building features a rear-ventilated, multiple-skin transparent system that anticipates state-of-the-art climate facades and stands out as a great engineering achievement. 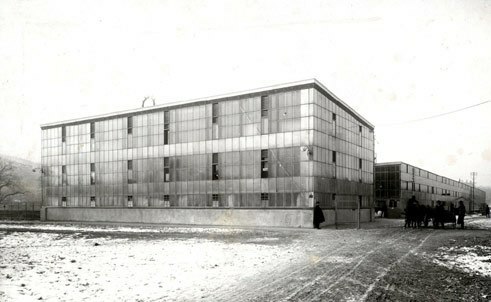 The transparent façade system of the factory building, dating back to 1903, is actually the earliest known version of a curtain wall in factory construction. And it is indeed earlier than the Fagus-Werk in Alfeld, built by Walter Gropius in 1911. 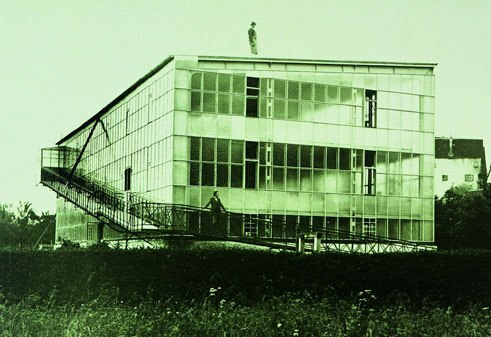 A building with a similar glass curtain wall extending around all four sides was not to be found in Germany again until the end of the 1920’s, in the buildings of Mies van der Rohe, for example. In view of the extremely futuristic design for this period around 1903 there were major difficulties to be overcome when dealing with the authorities. As a permit had never been granted for a building of this kind before, lengthy negotiations were needed before the building permit was finally granted, and then with the specific remark that permission was granted only “under explicit terms, conditionally and at the company’s own risk“. 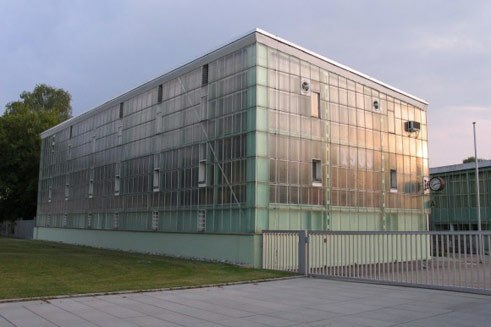 The Labour Inspectorate wrote on the permit application plan: “People will go blind in a such a building made of glass.” It was a fact that during the summer months work in the factory building was hard-going, due to the lack of sun screening measures. The interior was turned into a hothouse. 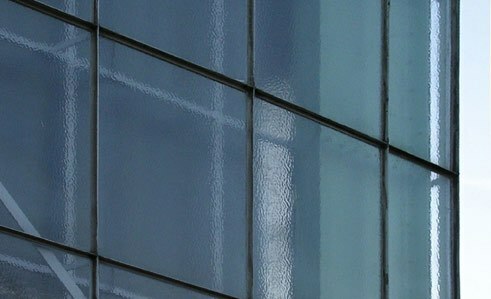 As a remedial action the glass façade was whitewashed and the paint then washed off again in the autumn. This stunning factory of glass and steel nevertheless appears to have been extremely popular. New buildings were erected from 1904 until 1910, and were practically identical to the building of 1903, except, however, that these buildings were based on a timber frame structure. Giengen therefore became the site of an ensemble of translucent factory buildings that were flooded with light. 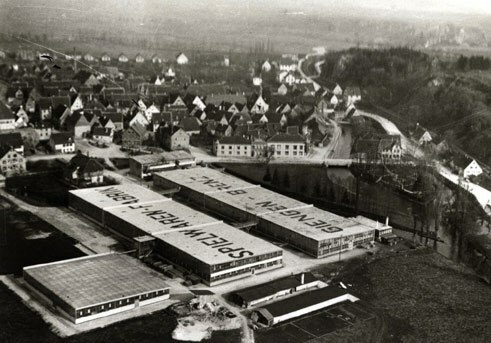 This complex was unique in Europe and was implemented during the first decade of the 20th century, before work started on the Fagus-Werke in Alfeld in 1911. It was relatively soon after winning the acclaim of the avant-garde at the beginning of the 1930’s that the Steiff factory building fell back into a deep slumber, and it was not until the end of the 1970’s that the building was rediscovered and given a place in architectural history. Rudolf Fischer studied engineering as well as art history and archaeology. His research work focuses on Modernist architecture, industrial architecture as well as associated debates in journals.